Operating at the worldwide level and living at the enduring pace of innovation, the RICOH Group was created in Japan in 1936. Today, this multinational has a work force of 109,200 people in more than 230 locations. Since its creation, the mission of the RICOH Group is to connect mankind with its tools and to create effective interfaces that are more ergonomic to the user. 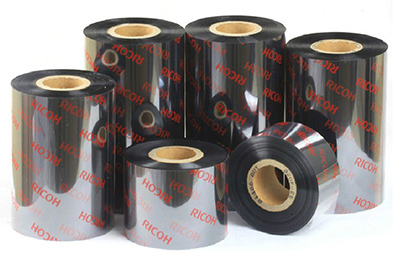 By exploiting all the possibilities of digital technology, RICOH has been able to set up multipurpose versatile solutions. For years now, the barrier between copiers, printers and scanners no longer exists while high image definition and high fidelity sound (hi-fi) are accessible in cameras and digital cameras and this trend is not going to end anytime now! The driving force of the organization dwells on its clear vision to always position itself with “one step ahead”, with its human resources strongly turned to innovation. Innovation for whom and for what ? First of all, to provide an adaptable solution to our customers in the field of image processing. Today, the latter has become crucial for effective communication and information. The new technologies relating to image and graphic processing are increasing rapidly. Other than being a manufacturer of equipments, RICOH has become a solution provider in digital network systems. The Group has been the initiator of a number of innovative products. Such products are specifically developed to meet the needs of the consumer. The field of competence of the RICOH Group has largely evolved, and so have its markets and activities. RICOH is today the pioneer in the filed of image / graphic processing through its proactivity, adaptation to the needs of the market and its professional level of response.